Dinner and drinks at Martini's Restaurant on West Broadway on December 21, 2010. My buddy Chris and I randomly decided to try the Italian cuisine at Martini's. It is a nice, small-sized Italian eatery in the Broadway area just before Main Street. We kicked back with a couple Raven Cream Ales. 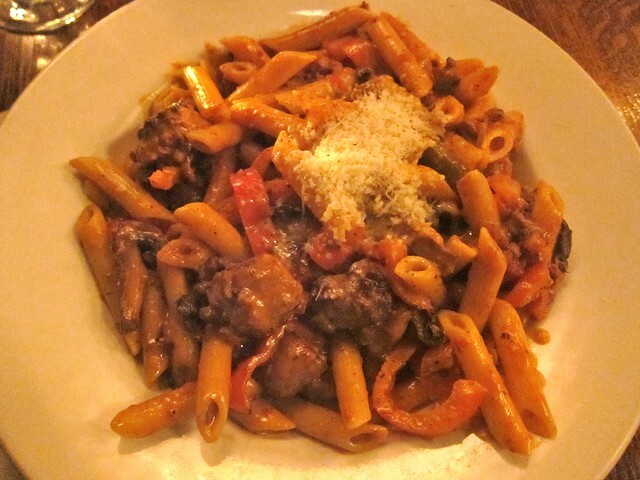 I had the Chorizo Penne Sauté and was delighted with its generous portion, flavour, and meaty content. the chorizo sausage bits were big and plentiful. 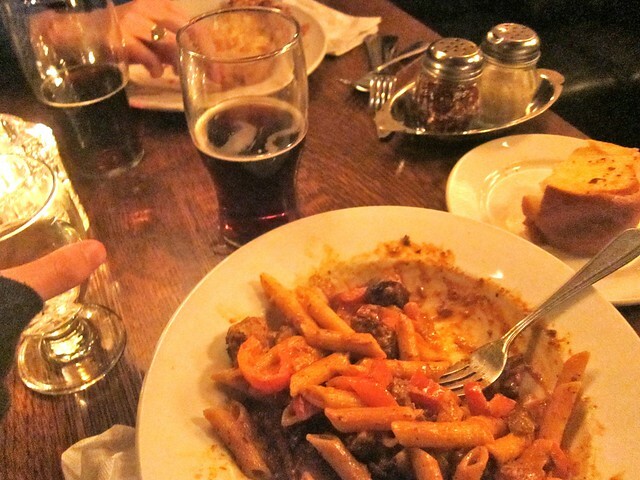 The peppers and mushrooms were a nice compliment to penne pasta. 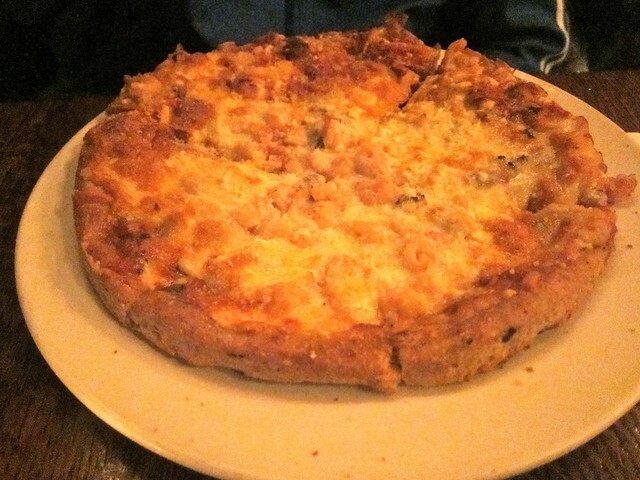 Chris had the #23, shrimp, mushrooms, and feta cheese pizza. He gobbled the whole thing up fast and happily commenting on its good taste and flavour. We both thought it was a good meal with nice portions at reasonable prices. 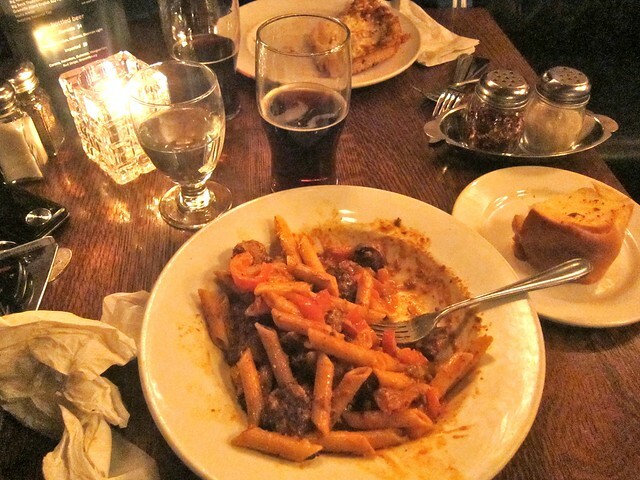 Our stomachs were full of Italian goodness and beer leaving the joint. Martini's food is quite fantastic. I remember having their Mediterranean chicken entree a month or two about and being really impressed (it was really spicy and full of flavour). I'd go back in a heartbeat. Sweet. Yeah, I really enjoyed it. Hope to go back soon!